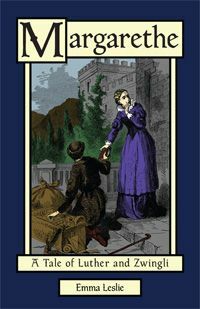 Margarethe is one of the books in Emma Leslie’s Church History series for the 12 and up age group. This book covers the time period of Martin Luther and Zwingli in Germany during the Reformation (1517-1522). Soft cover, $14.95, hard cover, $24.95. 280 pages. You can read the first chapter here. 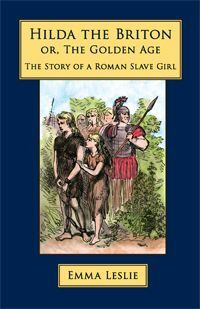 Hilda the Briton is one of the titles in the 5 part Junior Church History series by Emma Leslie, intended for readers age 8 and up. 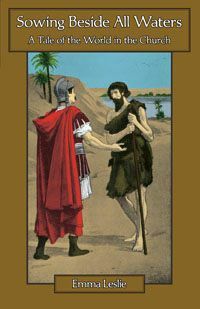 Set in ancient Rome, it covers the time period of 63 A.D. and features the Apostle Paul. It is available for $12.95 in soft cover or $22.95 hard cover. 145 pages. Read the first chapter here. 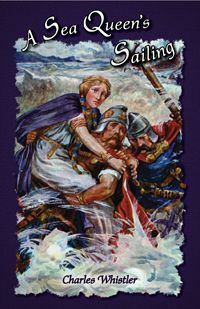 Another title from the Emma Leslie Church History series, Sowing Beside All Waters, covers the time period of 313-363 A.D. during the rule of Emperor Constantine in Rome. It is 264 pages, intended for ages 12 and up. Soft cover, $14.95. Hard cover, $24.95. The first chapter is available on the website. The Magic Runes by Emma Leslie is yet another in the Junior Church History series for readers 10 and up. 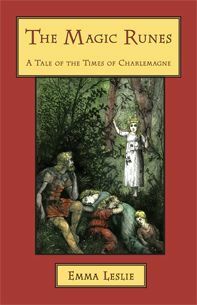 It covers the time of Charlemagne in the years 782-785 A.D. 188 pages. Soft cover, $10.95. Hard cover, $20.95. Read the first chapter at the Salem Ridge Press website. 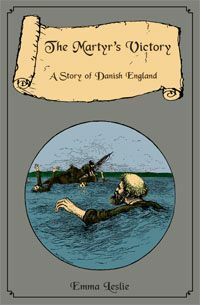 Danish England in 879-883 A.D. is the setting for The Martyr’s Victory in the Emma Leslie Church History series. 266 pages. $14.95, soft cover. $24.95, hard cover. You may read the first chapter here. A Sea Queen’s Sailing by Charles W. Whistler is an adventure that takes place in Scotland, Ireland and Norway in 935 A.D. It involves Vikings and danger on the high seas. 310 pages. $14.95, soft cover. $24.95, hard cover. The first chapter is available online. Leofwine the Monk is the story of a young monk during the time of the Norman conquest of England in 1052-1066. 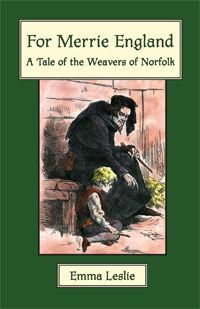 It is part of the Emma Leslie Church History series for ages 12 and up. 264 pages. $14.95, soft cover. $24.95 hard cover. Read the first chapter here. 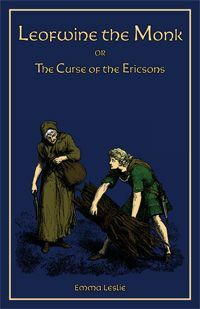 Elfreda the Saxon is the sequel to Leofwine the Monk. It takes place during the 1189-1215 time period. It covers the time of King Richard and the Crusades after Jerusalem has been taken over by the Muslims. 265 pages. $14.95 soft cover, $24.95 hard cover. The first chapter is available here. The 100 Years War in England, circa 1357-1360, is the setting in For Merrie England by Emma Leslie in the Junior Church History series. 133 pages for readers 8 and up. $10.95 soft cover. $20.95 hard cover. You may read the first chapter on the Salem Ridge Press website. 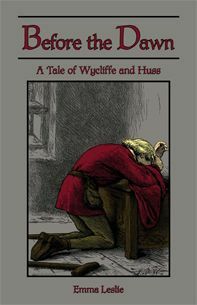 John Wycliffe’s “heresy” is the topic of Before the Dawn by Emma Leslie. It is part of the Church History series for readers ages 12 and up. The time period is 1382-1453. Read more from the first chapter here. $14.95 soft cover. $24.95 hard cover. 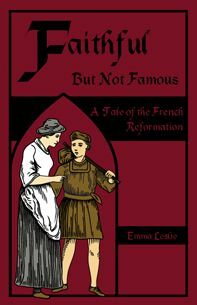 Spreading the Gospel through France during the French Reformation is the topic of Faithful, but Not Famous by Emma Leslie. It’s part of the Church History series and takes place during 1510-1522. 196 pages. You may purchase the soft cover for $12.95 or hard cover for $22.95. Read the first chapter here. 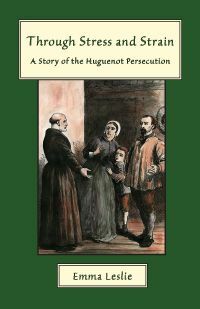 Through Stress and Strain covers the persecution of the Huguenots as they are pressured to join the “King’s religion” in France from 1666-1685. 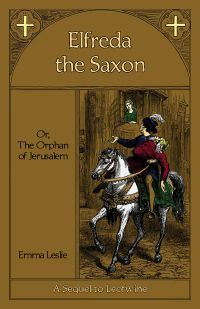 It is another book in the Emma Leslie Junior Church History series for readers 8 and up. 149 pages. Soft cover, $12.95. Hard cover, $22.95. The first chapter is available online. Be sure to visit each Crew blog for reviews on the individual titles and how they used these books in their homeschool lessons! A big thank you to Sara of Embracing Destiny for writing this introductory post.